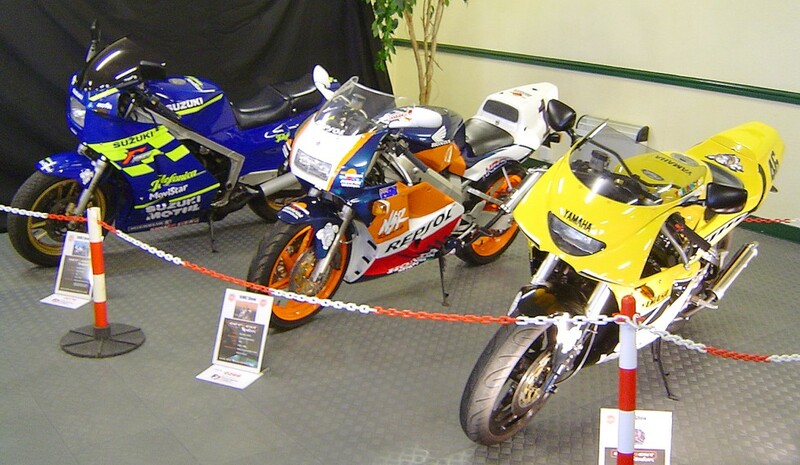 The 2007 Uttoxeter Show was originally intended to be a one-off to celebrate the VJMC's 25th anniversary. But it was such a success that it was immediately pencilled in for 2008 (and beyond) so we signed up again straight away. 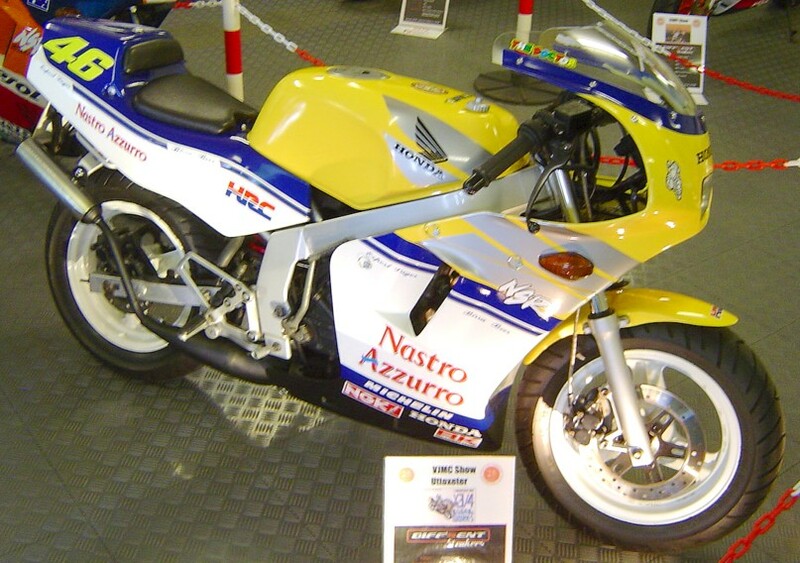 Having spent all of the previous show admiring Ben's lovely YSR's, Sara was planning to paint her NSR in Nastro Azzurro colours. 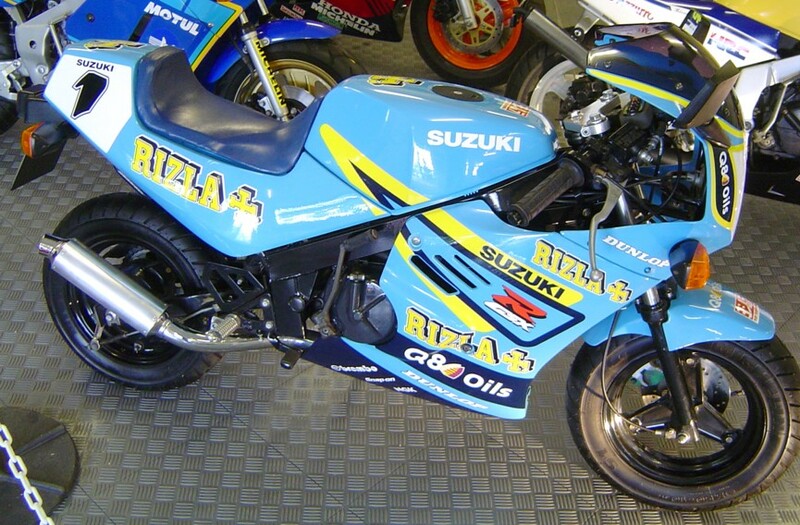 We knew of other Gag bikes already in Rizla, Pepsi, Rothmans and Repsol schemes so the theme pretty-much chose itself - an assortment of race-rep paintjobs in both full and half sizes. 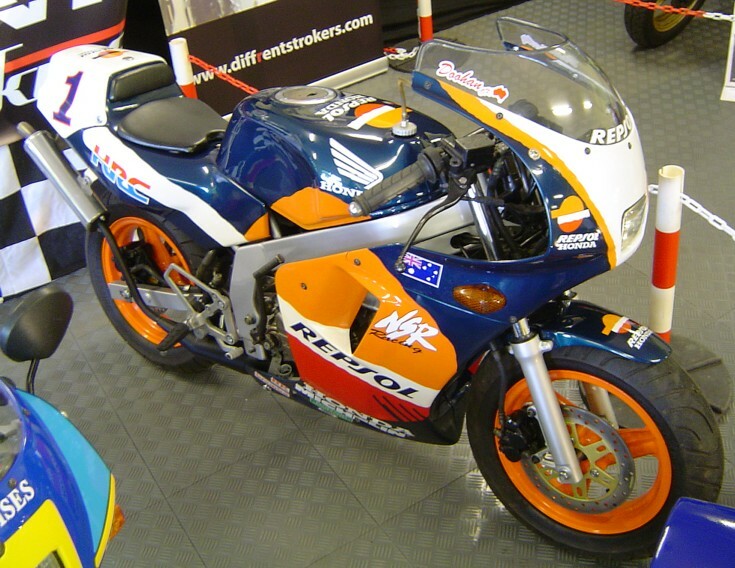 Mick got us off to the perfect start with a matching pair of Repsol NSR's (250 MC21 and 80). 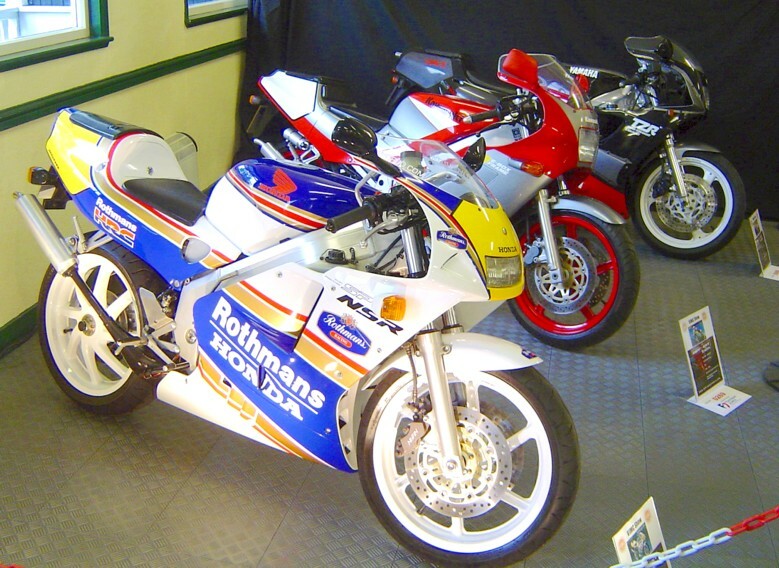 Mike offered his immaculate Rothmans MC28-SP. 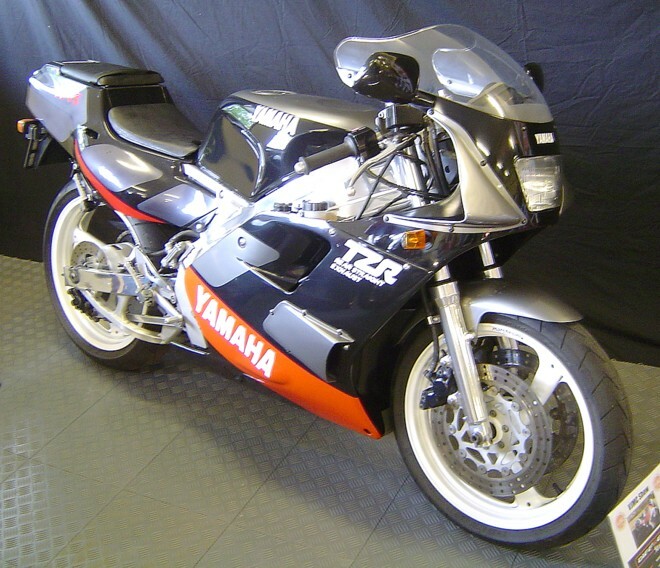 Tim's mate Graeme had an RG400 in Telefonica colours which he kindly lent us and Sara went ahead with the Rossi-rep NSR50. 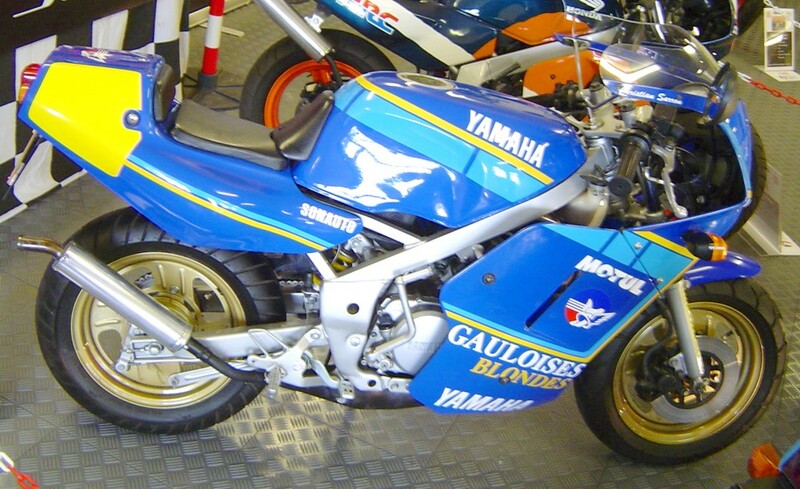 Darin added a few stickers to his blue/yellow YSR80 to turn it into a proper little Gauloises replica, and while trying to persuade the owner of the Rizla RB50 to bring it along, he ended up buying it instead ! 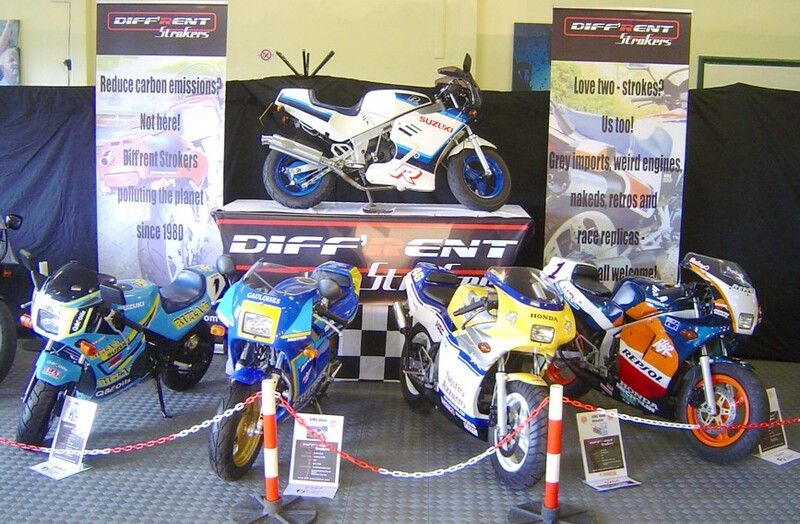 Progress stalled at that point, and as Ben couldn't make it this time and the show loomed ever closer, requests for other bikes were made on the forum(s). 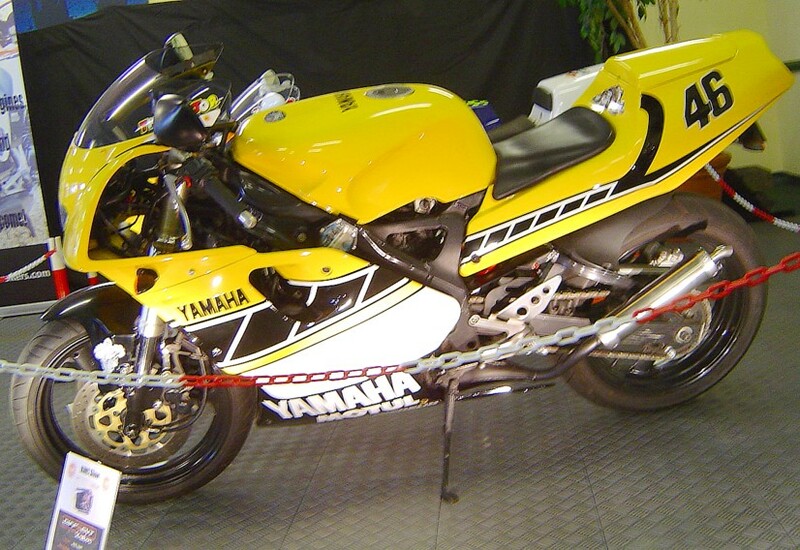 Nigel then offered his 3XV in Yamaha 50th Anniversary colours and said he also had a nice 3MA if we wanted it. We did ! 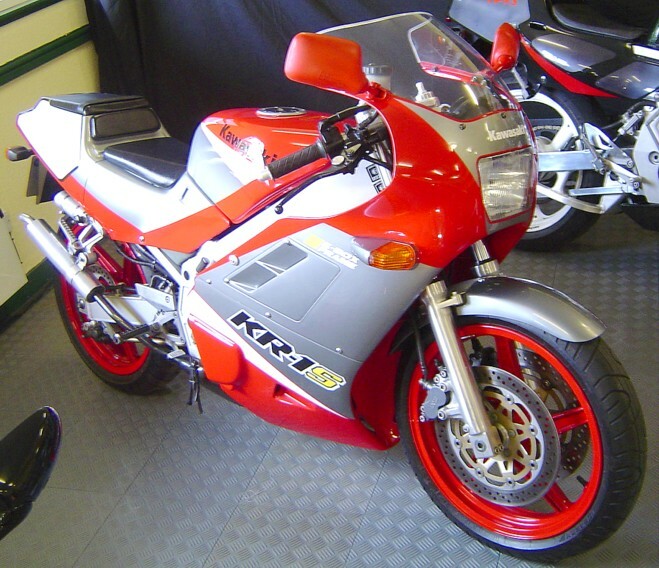 With room for one more bike and a complete lack of Kawasaki's, Mike said he could bring along his KR-1S as well. 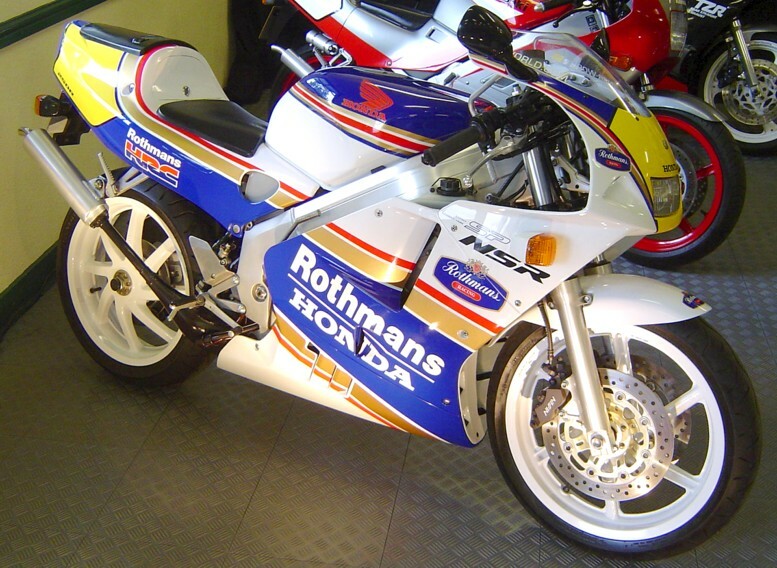 Not quite the full GP grid recreation but 10 super-cool bikes as usual. 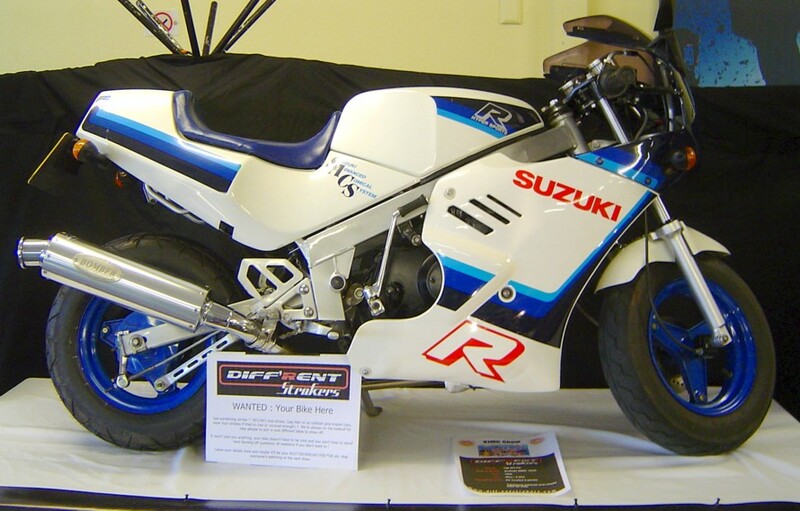 Make that 11, 'cos Tim decided to put his RB50 mini-GSX-R in the van too. We'd asked for and been allocated the same stand as last time, so we set to work making yet another lighting unit and also ordered another pair of display banners to help encourage the public towards our location. Shortly before the show it looked like we might be moved to a marquee on the grass instead, but we persuaded George to let us stay where we were. As we know, there are downsides to the pavilion but we could definitely do a lot worse. How many other clubs have their own secret little kitchen area ?! 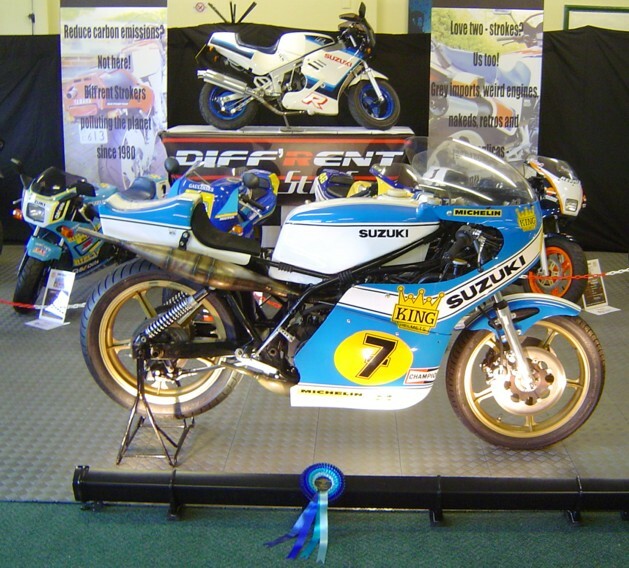 Better news was finding out that we'd been awarded 2nd Best Club Stand this year, an improvement on the previous show. 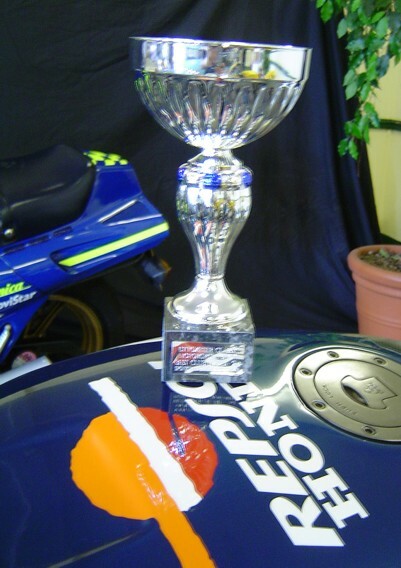 Not only that, but Mike's gorgeous MC28 deservedly won Best 90's Bike overall. 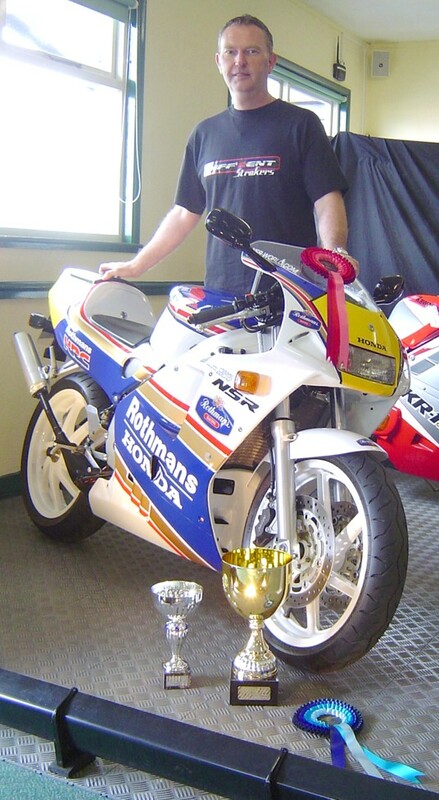 And on the Sunday, more recognition that we must be doing something right, when Doug Perkins wheeled in a Mk.1 RG500 and asked us to look after it on our stand. 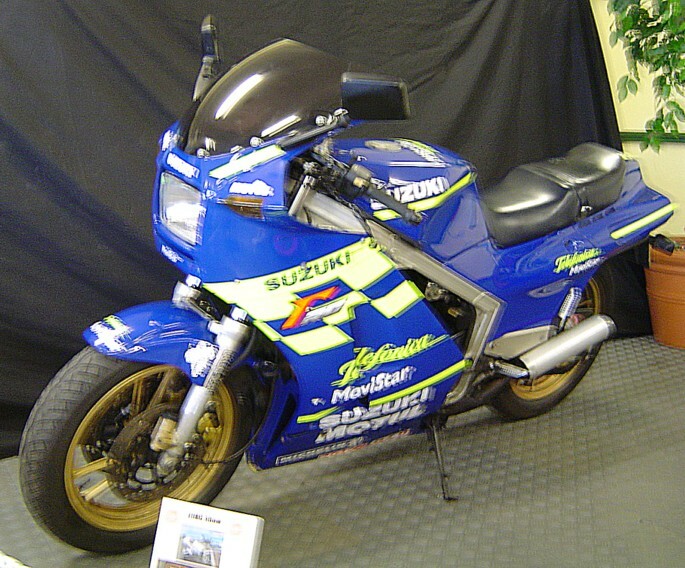 The engine is allegedly the actual one out of the works XR14 upon which Barry Sheene won his first ever GP, hence the replica paint job. The race bike was taken outside and fired up a couple of times for the benefit of the public, and Doug's helmetless full-bore starts in the pouring rain on a priceless piece of history deserved a medal. Being immediately outside our pavilion, the sound-off's also had the effect of bringing a few more punters in.